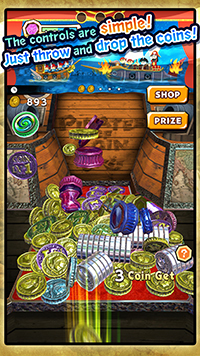 20 December, 2016 PROPE Ltd.
"Pirates of Coin" for iOS / Android. 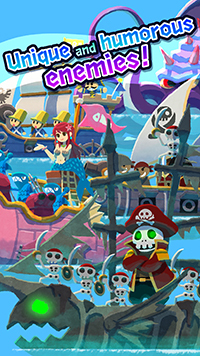 PROPE Ltd.(head-office building: Minato-ku Tokyo, President & CEO: Yuji Naka)started to distribute the game "Pirates of Coin" for iOS & Android at 20 December, 2016. At last, the definitive version of the pusher-type coin game! Join pirates on a vast adventure! 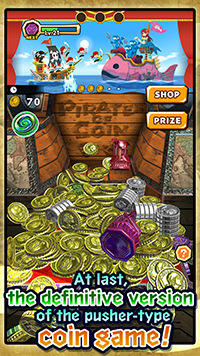 The coins you earn turn into pirates! The pirates will fling themselves at the enemy! It's a huge battle with unique and humorous enemies on the high seas! Beat the enemies for your chance to win treasure! The controls are simple! Just throw and drop the coins! Gain lots of coins and a prize will appear! Aim and shoot at the prize with coins; hit it for a chance to win it. 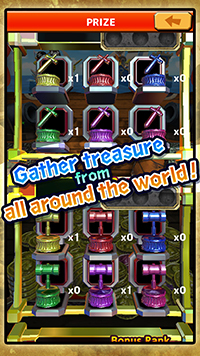 Gather treasure from all around the world! 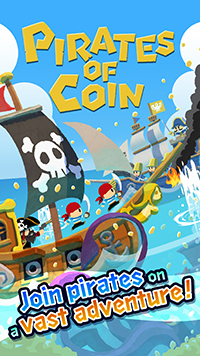 The screenshots and the press release of "Pirates of Coin" can be downloaded from the download button below. You need not obtain permission from PROPE,Ltd. to use these images and information in case of being to introduce "Pirates of Coin".